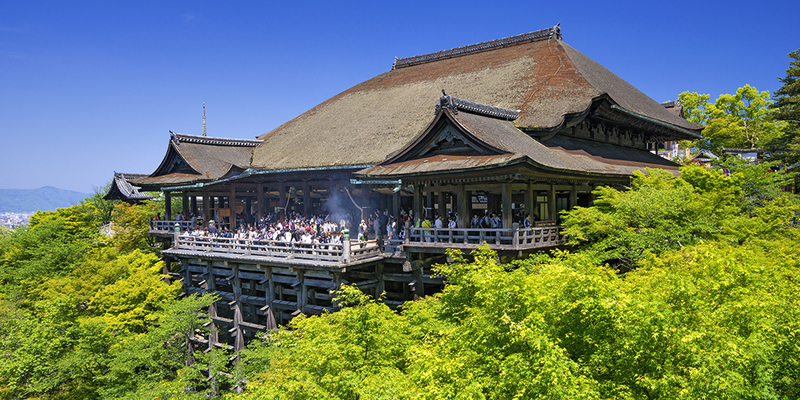 Temples are packed with very Japonesque history, culture, and tradition. By just taking a step into the precincts from the bustling street, you will be enveloped in a quaint atmosphere, immersing yourself in a solemn mood. When visiting a temple, we recommend seeing edifices, gardens and Buddha statues. The building of a big temple is made up of seven buildings called "Shichido-garan". 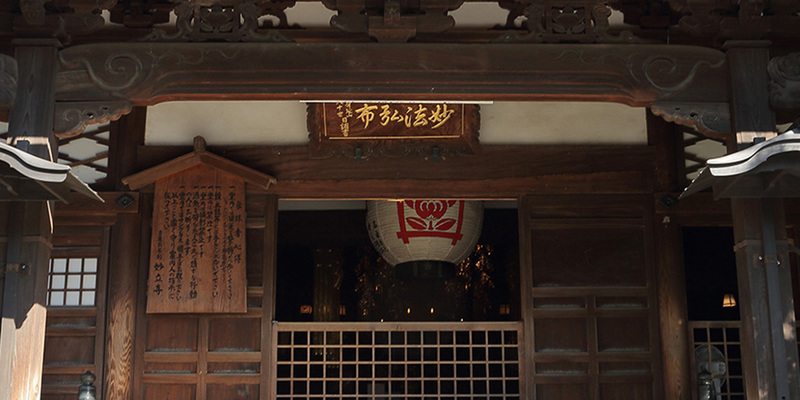 There’s "Hondo" (sometimes called Kondo in temples of Kyoto and Nara) to enshrine Principal Image of Buddha, "Kodo" a hall for worshippers to listen to preaching, "Kyozo" a storage to keep the scriptures, "To" a tower which developed from stupa to keep the remains of Buddha, “Shoro” to hang a temple bell, “Sobo” a residence to accommodate the monk, and "Jikido", the dining hall. Their positions differ depending on denomination (there are roughly 13 denominations in Japan). Enjoy the edifices, bearing in mind factors such as each garan (temple)’s architectural beauty and the differences of positions. Also, gardens created from Japanese aesthetic sense such as stone garden or kare-san-sui, a form of zen garden are extremely charming. In addition, there are a lot of national treasures such as Buddha statues and mural paintings. They are all things you can not appreciate unless you go to that temple. By bearing in mind the history and highlights of the temple you’re visiting, you’ll make new discoveries and have deeper understanding. Here we will introduce some of the representative temples in Japan. Kiyomizudera is particularly popular among numerous temples in Kyoto, and is crowded with many visitors throughout the year. It is also registered as a World Heritage Site. It is a temple with a very long history, established in 778. 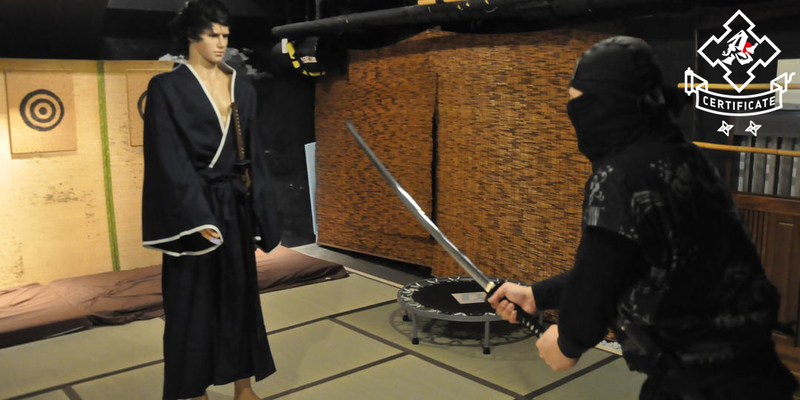 The main attraction would be, after all, the stage of Hondo (Main Hall) which is also known for the proverb "jump off the stage of Shimizu (that is, to make a bold decision)". It was constructed as if to protrude toward a steep cliff and its height corresponds to a four-story building. It is noteworthy that this stage is supported by 18 pillars forming a joint, without using any metal nails. The view from there is also breathtakingly beautiful and impressive. Let's not miss visiting Ju-ichimen-senju-kannon-bosatsu, the Eleven-headed Thousand-armed Kannon Bodhisattva in the main hall. 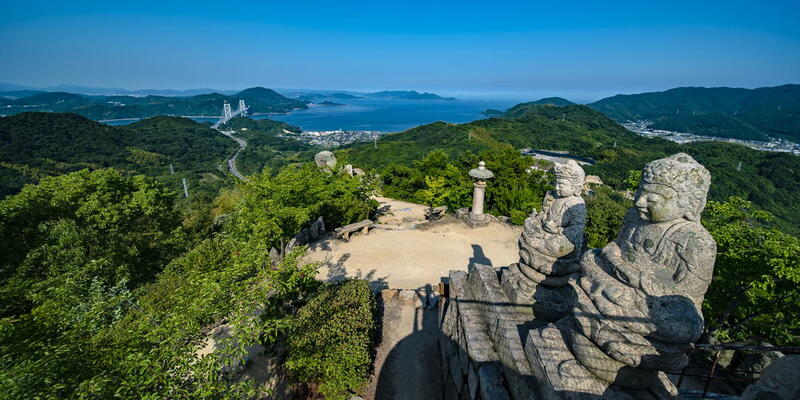 In addition, you’d not want to miss the glorious Sanju-no-to (three storied pagoda), Nio-mon, the gate that is also called Aka-mon, as well as Jinushi Jinja (shinto shrine) at the northern part of Hondo, where god of union is enshrined. ※Please note that Hondo is currently rethatching process of hinoki bark roof, so the scenery is different from the photo (rehatching scheduled until 2020). The worship of Hondo (Main Hall) is possible. A sightseeing spot representing Nara. 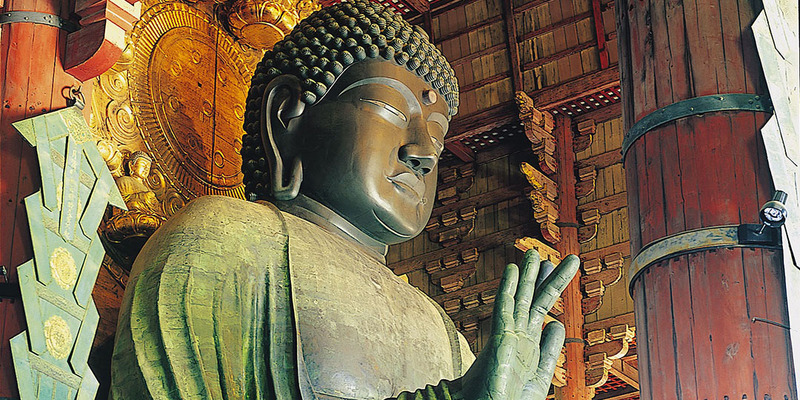 Seated Vairocana Buddha statue known as "Nara-no-Daibutsu-san (Buddha of Nara)" was consecrated in 752, and 40 years later, Dai-garan (great temple) centering around Daibutsu-den (Great Buddha Hall) was completed. Seated Vairocana Buddha is one of the largest gold copper-made statue in the world, boasting approximately 15 meters in height. Daibutsu-den (Great Buddha Hall) that covers the Buddha statue is also titanic, with the width, depth, height approximately 57 meters, 50 meters, and 48 meters. 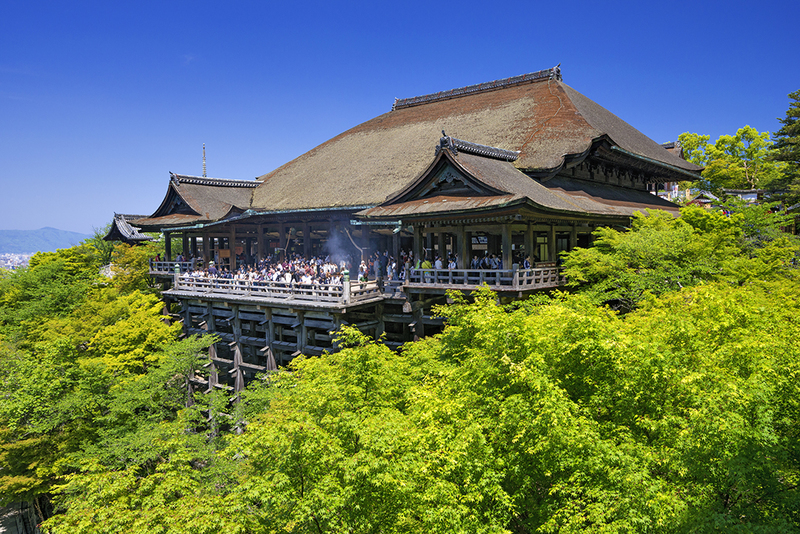 As a wooden building, it is one of the largest in the world. Other buildings as well as Buddha statue are large in scale, like Nandai-mon the main gate is approximately 25 meters high, and Kongo-Rikishi statues settled on both sides of the gate are approximately 8.5 meters. There is a large hole in the pillar of the Daibutsu-den (Great Buddha Hall), and it is said that going through the hole will ward off evil. It was also registered as a World Heritage Site in 1988. It is the oldest temple in Tokyo, with a history of about 1400 years. The worship of Hondo is possible. Since Heian period, Senso-ji Temple developed as a sacred place, and when it received great patronage of Tokugawa Ieyasu, Shogun in the Edo era, improvement of the precincts such as Hondo and the Goju-no-to (five-storied pagoda) were repaired thus becoming a center of Edo culture development. The entrance of Senso-ji Temple, Kaminari-mon Gate, is always crowded with people from all over Japan and overseas, trying to take memorial photos. The big lantern written “Kaminari-mon” on is titanic in size, 3.4 meters in diameter, 4 meters in height and weighs approximately 700 kilograms. It is said that Kaminari-mon was founded in 942, but since then it has been repeatedly burned down and rebuilt. The gate we see now was rebuilt in 1960. As you go through Kaminari-mon Gate, you’ll be greeted by numerous shops in Nakamise street where Ningyo-yaki (spongy cakes in various form with filling of bean paste), Kaminari-okoshi (fried rice cakes) and other items. 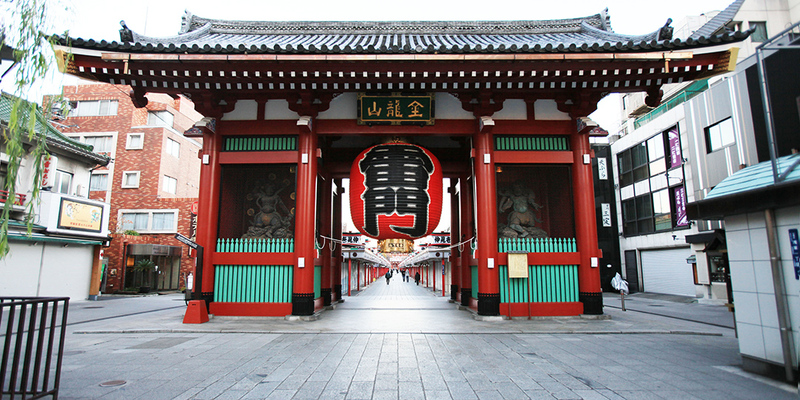 If you proceed further, you’ll see Hozo-mon Gate, leading to Hondo (main hall). The holy smoke in front of Hondo (main hall) is said to “heal bad condition”, so apply it to the place where you feel uncomfortable, such as your legs or lower back instead of head. There are various events around Senso-ji Temple throughout the year, such as Hozuki-ichi (ground cherry market), Hagoita-ichi (battledore market). Do check those events, too. Founded in 850. 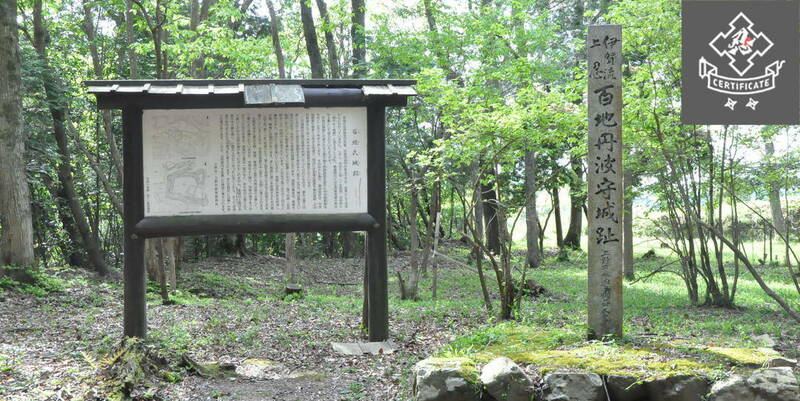 Early 12th Century, Lord Kiyohira, the first of Oshu Fujiwara clan founded Chuson-ji Temple in order to repose the souls of both friends and foes killed in a long-lasting war that began in latter half of 11th Century, and to create an ideal society in Tohoku region based on the teachings of Buddhism. 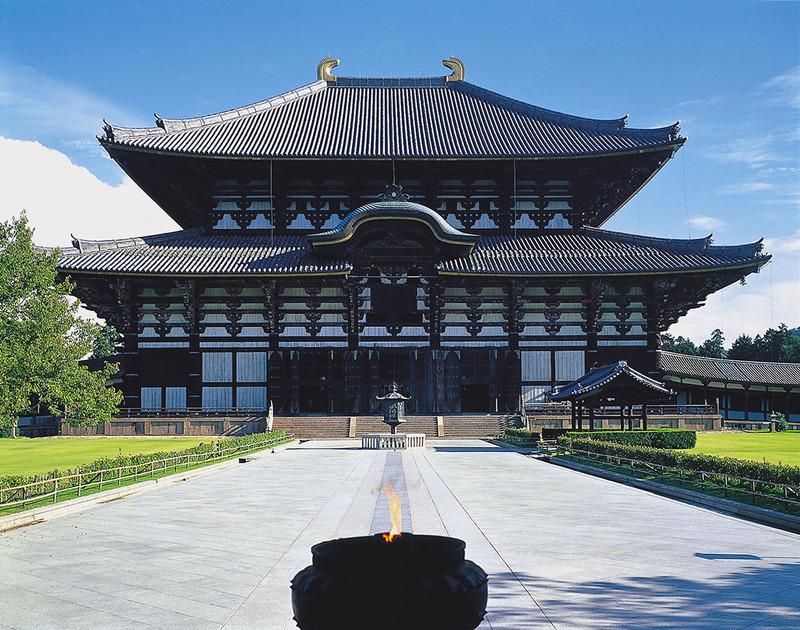 Unfortunately most of the pagodas were destroyed in the 14th Century, but Konjiki-do (Golden Hall), which was completed in 1124, is a precious building that hands down the original appearance of the era. 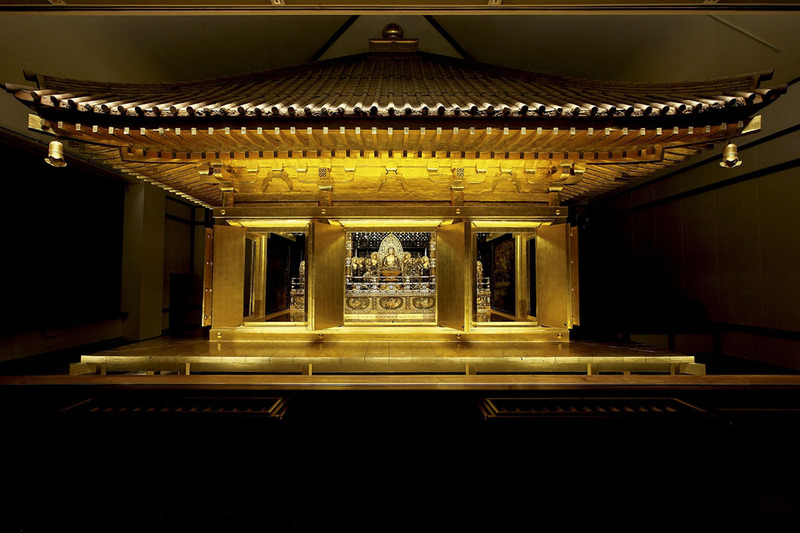 The inner sanctuary is particularly decorated lavishly, and is called “Kai-konjiki” (All is Golden) because the area is impressed with gold leaf inside out. The area is also garnished with mother-of-pearl maki-e (gold lacquer) made from great green turbans from the South Seas, brought by merchants crossing the Silk Road. Oddly enough, the golden sparkle is like a paradise. 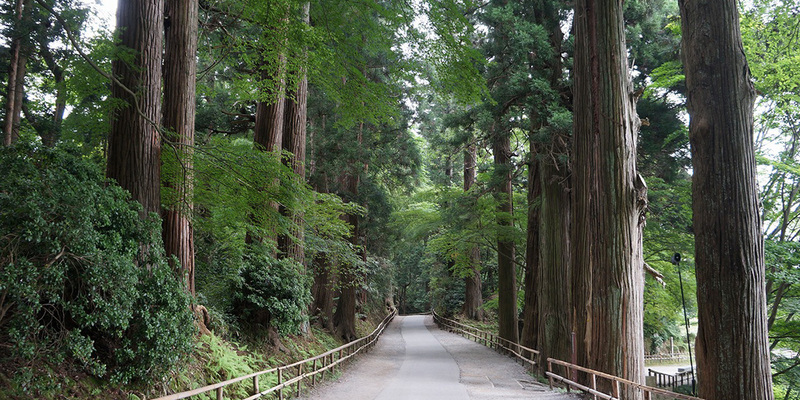 Also, in Tsukimi-zaka Slope, which has been serving as Omote-sando (main approach) to visitors worshiping Hondo (Main Hall) and Konjiki-do (Golden Hall) for a long time, there are two 300 year old cedars planted on both sides, and the place is enveloped in a majestic atmosphere. The temple leases audio guidance in Japanese, English, Chinese, Korean (500 yen per one device). Myoryu-ji is a temple where you can enjoy somewhat different attractions from other temples. 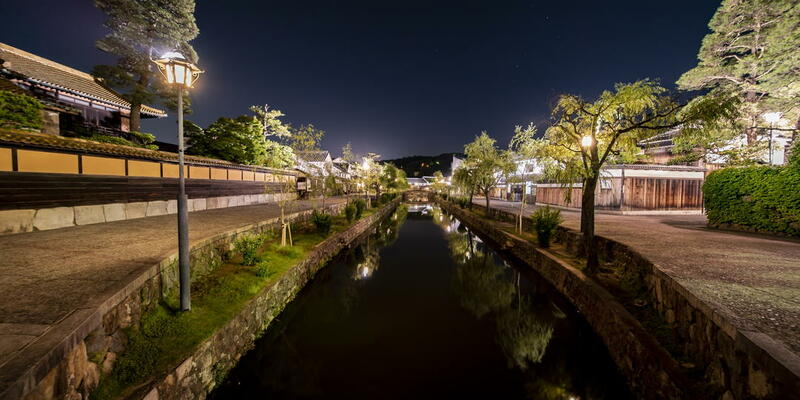 In Kanazawa, there is a history that the temple was concentrated in a specific place by the lords of those days at the beginning of the 17th century. 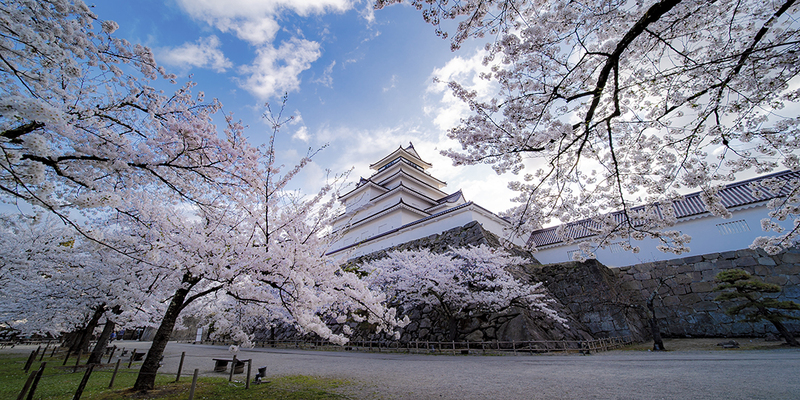 The reason is said to protect the lord’s castle from enemy raids, and Myoryu-ji Temple played a central role. For protection, the temple itself is built as a labyrinth and there are numerous gimmick inside, thus it’s also called “Ninja Temple”. The offertory box is embedded within the entrance of Hondo (Main Hall) to serve as a pitfall in case of emergency. There are also hidden staircase and staircase-like pitfall. You can tour the temple for approximately 40 minutes with a guide, but the guide will be only in Japanese (reservation required).